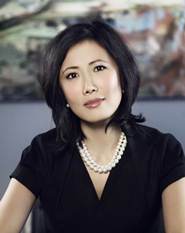 Dr. Jeannie Chung specializes exclusively in cosmetic surgery of the face, head, and neck region. She also excels in body liposuction and skin rejuvenation. She is double board-certified by the American Board of Facial Plastic and Reconstructive Surgery and the American Board of Otolaryngology and Head and Neck Surgery. She currently serves as a Clinical Instructor in Otology and Laryngology at Harvard Medical School. Dr. Chung graduated from Stanford University, where she received her Bachelor of Sciences degree (B.S.) in Biological Sciences. She earned her medical degree from the University of California – San Francisco (UCSF), which is consistently rated as one of the top ten medical schools in the United States. She was accepted into the prestigious Alpha Omega Honor Society recognizing her for her high academic standing, leadership among peers, professionalism and a firm sense of ethics. Dr. Chung completed her surgical training at Harvard Medical School. After a general surgery internship at the Beth Israel Deaconess Medical Center, she went on to residency training in Head and Neck surgery at the Massachusetts Eye and Ear Infirmary, the Brigham and Women’s Hospital, and the Beth Israel Deaconess Medical Center. Following residency, she was selected for a prestigious American Academy of Facial Plastic & Reconstructive Surgery fellowship in New York with Dr. Edwin Williams. She is a Clinical Instructor in Otology and Laryngology at Harvard Medical School and is on medical staff at the North Shore Medical Center and at the Massachusetts Eye and Ear Infirmary. She has authored scientific journal articles and textbook chapters, has lectured nationally, and has traveled internationally to countries such as Thailand and Ecuador on medical missions. As a surgeon, Dr. Chung recognizes the importance of skin health and vitality in achieving a youthful, rejuvenated appearance. She has worked closely with dermatologists for the last 8 years and is able to combine surgical mastery with skin enhancement procedures. She has extensive clinical experience in cosmetic surgery of the aging face, facial augmentation and volumetric procedures, minimally invasive endoscopic techniques, and skin rejuvenation with chemical peels, lasers, injectable fillers, and Botox.